Mar 17 • Home Improvement • 752 Views • Comments Off on Why Is Lighting Important In Retail Stores? Lighting has an enormous impact on retail stores. 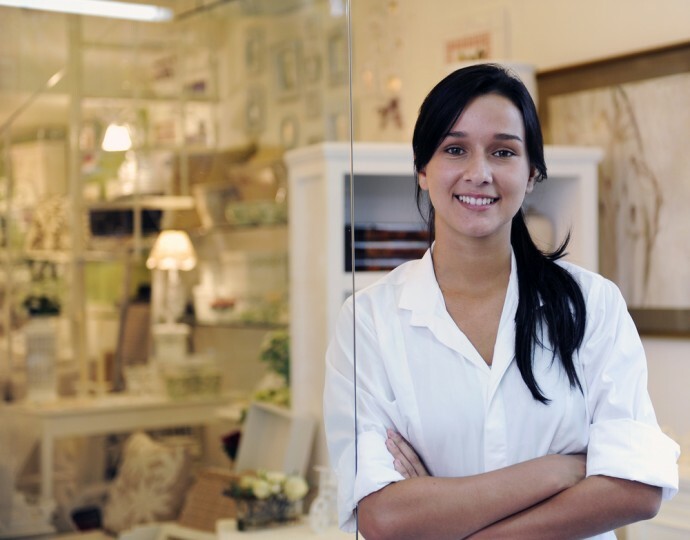 The correct lighting can make the difference between a successful or unsuccessful store. Different lighting styles will create different shopping experiences. The goal of a retail store is to attract customers, give them a good shopping experience and increase profits. All of this can be achieved through enticing marketing promotions and discounts. These are great strategies for short bursts of sales. However, long term sales growth can easily be achieved by using the correct lighting to a retail advantage. Lighting can define and enhance an entire store. Dim lighting can deter customers from even entering a store. If an entrance is well lit, customers will have no hesitation in entering the store and having a look around. Customers will often glance left on entering a store, then right and then navigate the store in a counter clockwise direction. It is important to be aware of customer’s habits and have lighting that will make their journey easily visible. Accent lighting can showcase luxury items or sale items or any items that need attention drawn to them. Accent lighting, when used correctly, will have an impact on the desired products. Lighting should be used to enhance merchandise. This will draw the customer’s attention to that particular item which, in turn, will lead to increased sales. The correct lighting can create a mood where a shopper will stay longer in the store and perhaps buy items that they had no intention of purchasing. If the lighting creates a pleasant ambience, shoppers will relax and will be more inclined to browse. They can then take their time wandering through a retail store with well-lit displays and shelving. On entering a store, customers will notice the temperature and the lighting. If both are comfortable, then their shopping experience will be enjoyable. Good lighting should also make ticket prices easy to read. Many customers want to analyse products and read the ingredients contained in a product. Inadequate lighting may prevent a customer from doing this and they will get annoyed and will likely walk out of the store. A lot of time and effort goes into designing the correct layout for a retail store. All this effort will be futile if the incorrect lighting is installed. Proper lighting will enhance the design and workmanship that goes into establishing a modern retail store. All retail stores are different and therefore attract a different customer base. Lighting should be arranged according to the type of merchandise the store promotes and the type of customer who will be attracted to that particular store. A high traffic store should use enough lighting to bring attention to certain areas. There should be no dim dark back corners. Retail stores should also ensure shelving and display fixtures have adequate lighting. For lighting design ideas have a look at http://www.tuprojects.com/who specialise in fit outs for all retail stores. Lighting should be changed and updated as floor plans change.